Warner Bros. Studio Tour London – The Making of Harry Potter. The two-night event will feature a delectable menu alongside Death Eaters, a trip to the Forbidden Forest, and wand combat training. Warner Bros.' Harry Potter studio tour in London is honoring the Dark Arts this Halloween with "Hogwarts After Dark," an evening of food and drinks celebrating the darker side of the wizarding world. During the entire month of October, fans can visit The Making of Harry Potter experience, where they'll get the chance to encounter myriad magical creatures and a Great Hall decked out in haunting decor. On October 28 and 29, attendees can also be a part of a special dining experience, complete with a three-course meal alongside some of the wizarding world's darkest threats. The menu, which has already been released, features spiced pumpkin chutney with char-grilled sourdough as part of the evening's appetizers before the main course of hay-smoked beef fillet, shin and bone marrow croquette with roasted purple potatoes, tender stem broccoli, and beetroot jus. There are also vegetarian options that sound just as delectable, including herb-coated goat cheese with candied pecans as a starter and forest mushroom mille feuille as the main course. It wouldn't be a true Harry Potter event without a few inspired drinks, either. Jackalberry Cabernet Sauvignon and Jackalberry Chenin Blanc will be available during dinner, but the evening will also start with an assortment of smoking dry ice cocktails and canapés, according to Inside the Magic. Attendees can enjoy their dinner at tables adorned with red apples, pumpkins, and cauldrons full of lollipops as 100 floating pumpkins hang from the Great Hall ceiling. Once finished, everyone will be whisked away by lanterns (and spiders!) to the Forbidden Forest, where they'll enjoy desserts like spiced pumpkin pie with meringue and raspberry coulis, toffee apples, and spiced marshmallows with salted chocolate popcorn. In the forest, guests will be joined by some of Hagrid's favorite magical creatures, like Aragog the Acromantula and Buckbeak the Hippogriff, all while Death Eaters—dressed in original costumes from the movies—linger in the shadows. Once you've got all that eating out of the way, you'll get a chance to explore the Studio Tour after dark, visiting sets for the Gryffindor common room, Weasley's kitchen, and Diagon Alley, complete with dimmed lighting and foreboding music. 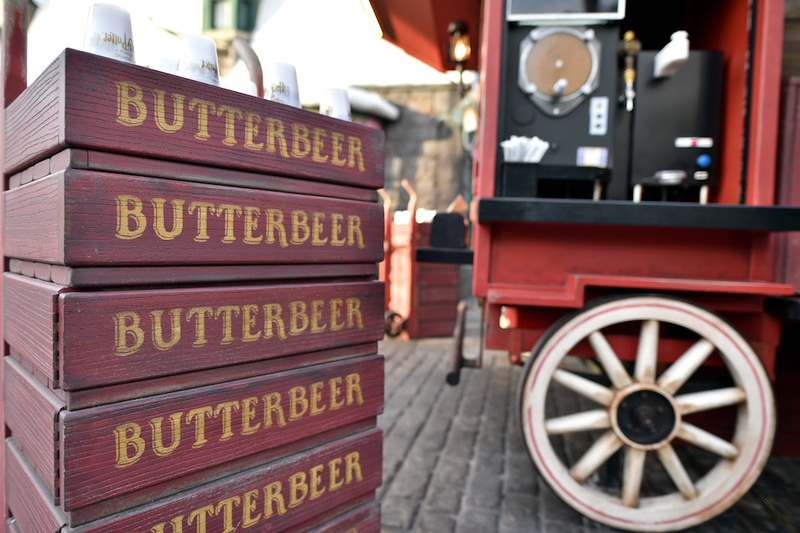 While there, guests will have the opportunity to learn a couple wand combat moves from Wand Choreographer Paul Harris (to fight off the Death Eaters patrolling the Alleyway, of course) before grabbing a Butterbeer at the Backlot Café. The event costs £240.00 (over $300) for each night and both evenings appear to be sold out. If the event is anything like Christmas at the Great Hall, it is well worth whatever had to be withdrawn from Gringrotts to pay for it.